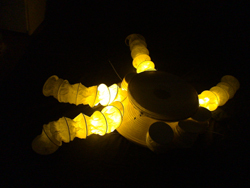 1 phase - LED marionette. 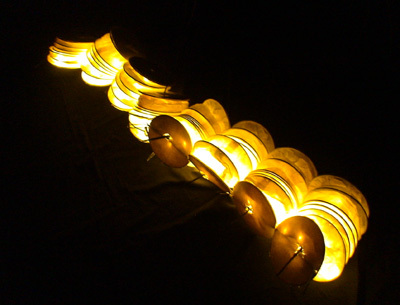 2 phase - giant LED horizontal rod puppet. 3 phase - giant LED vertical rod puppet + giant LED horizontal rod puppet. 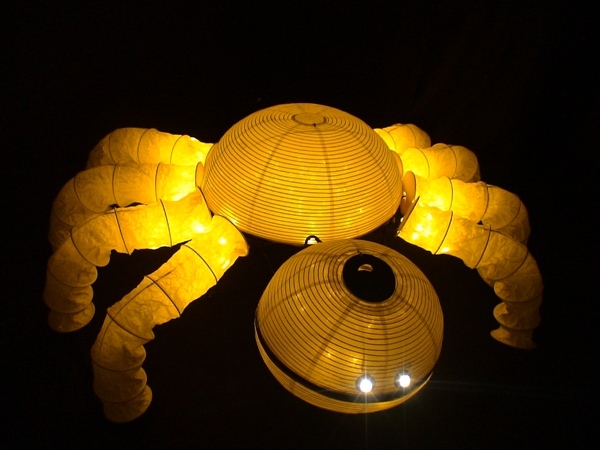 Distance between legs: 1.5 m / 5 ft.
Materials: metal wire, fiber plastic, rice paper, electric lamps, diodes. First presentation - June 26, 2009, Yunarmeets Concert Hall, Aniskino, Russia. 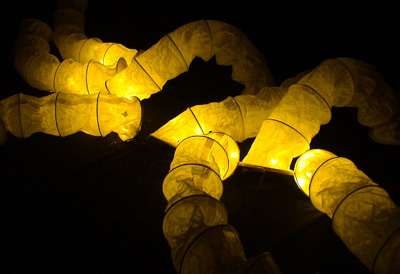 BIOCONSTRUCTION - giant LED transforming rod puppet. See PHOTO ALBUM of BIOCONSTRUCTION.